In this video, Christina Kennedy (Senior Curator, IMMA) provides an in-depth look at a new rope drawing by Brian O’Doherty. The work, entitled The doors to good and evil and the windows to heaven – Christina’s World, Rope Drawing No # 124, 2015, was created specifically for the IMMA space and is on display as part of the IMMA Collection exhibition ‘Fragments.’ Also included is a fascinating insight into the collaborative process between O’Doherty and Kennedy as they planned the work from the artists’ studio in New York. 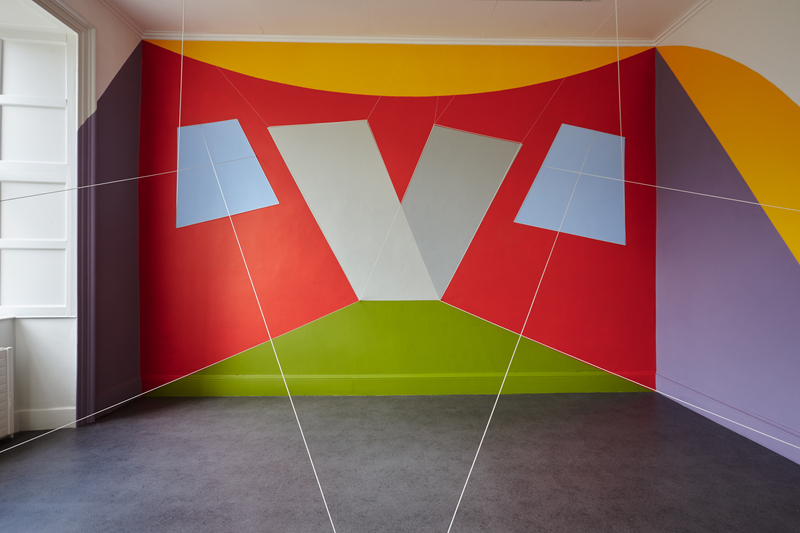 Brian O’Doherty’s The doors to good and evil and the windows to heaven – Christina’s World, Rope Drawing No # 124, 2015, is on display as part of IMMA Collection: Fragments from 1 May to 26 July 2015.